What Factors Determine How Abundant Scorpions Will Become During The Summer In Arizona? Many people would agree that the creepiest arthropods in the United States can all be found within Arizona. While the state’s native tarantula species may be frightening to look at, they are largely harmless; instead, it is the scorpions you have to watch out for. The most venomous scorpion species that exists in the US, the bark scorpion, dwells within Arizona. When it comes to arachnids, the bark scorpion is the most significant threat to public health in the state. According to officials with Banner Medical Center in Arizona, scorpion-related medical issues are far more common than any other type of animal-related medical issue in the state. In other words, scorpions are more dangerous than coyotes, javelinas, and even mosquitoes. Scorpion abundance within the state varies from year to year. Several climatic factors contribute to this annual fluctuation in scorpion population size. The early spring of 2016 saw a particularly large scorpion population emerge within Arizona, especially within the city of Phoenix. 2016 saw numerous residents sustain scorpion stings before the summer season arrived, and the amount of reported stings during this year has not yet been surpassed. Before March 5th of 2016, 588 scorpion stings were addressed at the Banner Medical Center, which marked a 46 percent increase over the previous year’s numbers. When scorpions emerge unusually early in the year, as they did in 2016, then scorpion populations will become unusually large during the summer. Two factors made 2016 unusual in terms of scorpion abundance. The first factor was the remarkably wet January, and the second was the strangely hot February. When a new year in Arizona is met with such odd climatic conditions, then you can expect a scorpion-rich spring and summer. You can count of scorpions being abundant within Arizona no matter the year or climatic conditions. Once the weather becomes consistently warm within the state, then you should start to be mindful of scorpions in both outdoor and indoor environments. Have you ever seen a massive group of scorpions attached to the interior or exterior walls of a house? The venom of an Indian red scorpion is, by far, the most toxic of all scorpion venoms, even more so than the venom produced by the notorious deathstalker scorpion and the Arizona bark scorpion. In addition to being the most toxic, and therefore, the most deadly form of venom, red scorpion venom, when injected into a human, causes physical symptoms more rapidly than any other scorpion venom. These scorpions pose a serious threat to villagers in India, as transportation is usually not available to these populations and small villages are normally located far from medical facilities where red scorpion stings can be treated. Most victims of red scorpion stings are Indian adults living in small agrarian villages, as most villagers go barefoot while working on local farms, therefore increasing the chances of contact between bare skin and red scorpions. Also, since these rural villages are lacking in modern construction and other forms of urban development, red scorpions dwell in close proximity to villagers and their homes. In addition to being the most scorpion affected group of people in India, rural villagers also die from red scorpion stings at greater rates than other Indian populations, as rural villagers often choose to address their scorpion stings by visiting local spiritual healers as opposed to visiting a medical facility, as urban residents almost always do. By visiting local spiritual healers before seeking modern medical aid, sting victims sometimes die before arriving at a hospital. While most red scorpion sting victims are adults, it is not uncommon for children, toddlers and even babies to be stung by these scorpions. As you can imagine, children suffer far worse than adults in response to a red scorpion sting. A 2016 study described how being administered a common medicine called prazosin dramatically lowered the death rate of children stung by Indian red scorpions. Although prazosin has saved many lives, young victims of red scorpion stings almost always experience a range of terribly painful and life-threatening physical symptoms. These symptoms include pedal edema (the buildup of fluid in the legs and feet), pulmonary edema (fluid in the lungs), liver enlargement and cardiac failure. These symptoms are not uncommon. In fact, out of 40 children who had been hospitalized after sustaining a red scorpion sting, 80 percent experienced peripheral circulatory failure, and 15 percent developed myocarditis (swelling of the heart). One child also arrived to the hospital already dead, as his parents visited a spiritual healer first. Strangely, 5 percent of these children experienced priapism, which occurs when blood fails to exit the erectile tissues. This condition, unless treated in time, can result in lifelong impotence in males. Have you or anyone you know ever sustained a scorpion sting of any kind? If so, was it medically serious? Who has not, at one point in life, chosen a favorite animal? Children are especially opinionated when it comes to this topic, but even many adults favor one particular type of animal over others. Monkeys, lions, bears or wolves are common animal favorites, but it is rare to hear anybody speak highly of scorpions. This is not hard to understand, as scorpions are unsightly creatures that are notorious for delivering painful and sometimes deadly stings. Not surprisingly, scorpions have been universally hated for ages. Some of the earliest surviving texts from the Roman era have contained passages that describe scorpions with great disdain. A couple thousand years ago, scorpions caused many problems fo r both Romans and Persians. Persians were especially ill-disposed toward scorpions, as they inhabited desert regions where scorpion species were abundant and diverse. The ancient Roman historian Pliny the Elder described scorpions as being “worse than a plague.” Elder further described how scorpion stings were worse than viper stings, as scorpion sting-victims would suffer in agony for three days before finally dying from the toxic effects of venom. Another Roman historian, Aelian, wrote about the unfortunate abundance of scorpion life in middle-eastern regions where the creatures could be found beneath every rock in the desert. Although this may be an exaggeration, scorpions posed a serious threat to those traveling along the historic trade route known as the Silk Road and other caravan routes. This meant that shipments from Asia would sometimes be held up by deadly scorpion attacks. 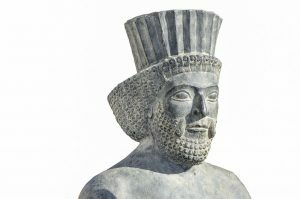 This problem was serious enough for Persian kings to put bounties on dead scorpions. These bounties resulted in numerous scorpion hunts where the highest bounties would be paid to the individuals who captured the greatest number of scorpions. Aelian wrote about winged scorpions, and winged scorpions were depicted on different forms of early Mesopotamian art. Of course, we can be grateful that flying scorpions do not actually exist, nor have they ever existed. Modern scholars believe that ancient historians mistakenly referred to venomous flying insects as scorpions. However, Pliny the Elder was the first Roman historian who hypothesized that so called “winged scorpions” were actually normal scorpions being pushed through the air by strong wind gusts during sandstorms. This may be the case, as airborne scorpions will straighten their legs to resemble wings during sandstorms. Given the scorpion’s lobster-like pincers, do you believe that scorpions share a close lineage with aquatic arthropods as opposed to winged arthropods? During the summer of 2017, a group of researchers discovered three new species of club-tailed scorpions in South America and the Caribbean. Two of these new species, Ischnotelson peruassu and Physoctonus striatus, were discovered in Brazil, and the third, Rhopalurus ochoai, was found in Venezuela. All club-tailed scorpions, including the three newly discovered species, are notable for having large bodies, striking colors and the ability to intimidate enemies by making a “hissing” sound. The three new scorpion species were described in a recent study authored by Lauren Esposito, curator of archaeology at the California Academy of Sciences in San Francisco. Considering the rapid rate of deforestation and other environmental issues affecting arthropod habitats in South America and the Caribbean, Esposito is determined to protect club-tailed scorpions from further population declines. Finding the three new species was not easy, as Esposito and her colleagues had to search for club-tailed specimens at night with the assistance of ultraviolet lights. Club-tailed scorpions, like the vast majority of scorpion species, are active at night, which is why the team used UV lights to track the creatures down. When scorpions are exposed to UV light, their exoskeletons produce a bright blue-green glow. The research team spent weeks looking beneath rocks, within caves and near rivers for new bush-tailed species. GPS coordinates marked every location where new specimens were discovered, which allowed the researchers to trace the specimens back to their home environment. Although most bush-tailed scorpion species are rarely encountered in the wild, they are, nevertheless, well known for their disturbing ability to “hiss” at their enemies. It is important to note that bush-tailed scorpions do not produce this hissing sound in the same way that Madagascar hissing cockroaches produce their signature hissing sounds. Rather than emitting sounds by releasing air through spiracles, bush-tailed scorpions produce hissing sounds in a manner similar to how crickets and cicadas produce their signature sounds. Bush-tailed scorpions rub specialized body parts together in order to produce an audible hiss, which sounds quite similar to the hiss produced by Madagascar hissing cockroaches. The scorpion species that is most well-known for producing a hissing sound is the Opistophthalmus glabrifrons species. This species is more commonly known as the shiny burrowing scorpion or the yellow-legged creeping scorpion, and they dwell within several African countries. Have you ever heard an arachnid produce an audible sound of any kind? As far as most people are concerned, scorpion species generally look the same. They all have pincers and a stinger that is attached to the end of a menacing looking tail. The only variance between scorpion species may be body size and color, but beyond these two features, what other physical traits vary across scorpion species? As it happens, this question is still being asked by many entomologists and evolutionary biologists working today. This is because a reliable evolutionary tree detailing scorpion evolution has never been accurately mapped out. Creating a family tree of existing scorpion species is difficult because very little phenotypic variation exists between the more than 2,000 scorpion species that have been documented and described by scientists. This is surprising considering that scorpions have adapted to living in a variety of different types of environments in all continents in the world except for Antarctica. Most other arthropods that are species-rich and widely distributed have developed unique physical traits in order to adapt to new environments, but scorpions have maintained a similar physical appearance for the 300 to 400 million years in which they have existed. However, one determined researcher recently created the first accurate and comprehensive evolutionary tree of scorpion species by analyzing the molecular shape of different venoms. A postdoctoral researcher at the University of Wisconsin in Madison created an evolutionary tree of scorpion species by using available genetic information. However, genetic data was not sufficient for creating a comprehensive family tree of scorpions. This inadequate first map led Lopez to analyze the 3D structure of the molecules in the venom of different scorpion species. Basically, Lopez created a second tree that mapped out different venoms and their relative similarities and differences to one another. By applying this second map to the first map of genetic relatedness between available scorpion DNA samples, Lopez succeeded in mapping out the evolutionary family tree of scorpions. The shape of different venom molecules also indicates the particular prey-animals that each scorpion species is adapted to hunt. This information could be used to geographically map-out various scorpion habitats around the world. Did you know that scorpions are one of the oldest arachnid species known to humankind? Every region of the world contains invasive insects. Invasive insects are non-native insects that have the ability to establish a presence, and reproduce, within a foreign land. Invasive insects can have a tremendously negative impact on the ecosystems that they inhabit. In addition to being environmentally damaging, invasive insects can also pose a threat to public health and can be economically disastrous as well. For example, here in America, the highly destructive Formosan subterranean termite is invasive. 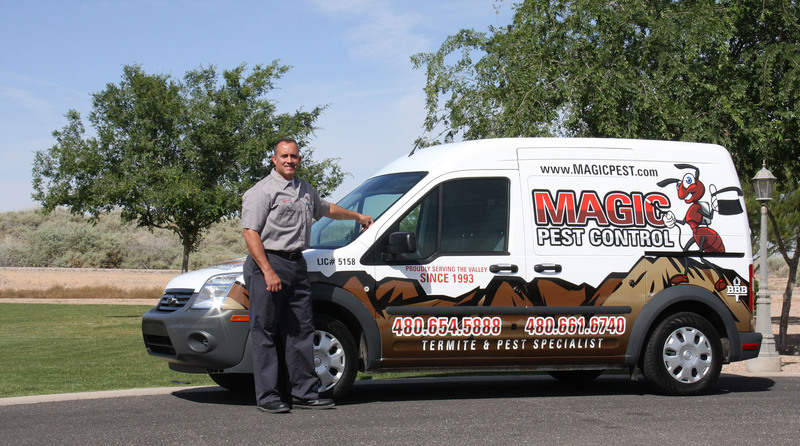 Formosan termite colonies reproduce more rapidly than native termite colonies, and they are responsible for at least one billion dollars in damage every year in America alone. While Formosan termites may only cause economic and, to a lesser extent, environmental damage in America, Africanized honey bees are a perfect example of invasive insects that pose a threat to public health in the US. Although invasive insects are bad news in any region, island ecosystems are more negatively affected by the presence of invasive species than larger areas of land. This is because an island’s wildlife and vegetation evolved independently from the plant and animal life on continents. Invasive insects on islands are not held in check by natural predators. In these situations, invasive insects can hunt native island-wildlife into extinction. Invasive insects on islands are particularly alarming when the invasive insect or arachnid in question is naturally aggressive by nature. Recently, a scorpion was spotted and removed from cargo destined for Bermuda. By spotting this scorpion before the cargo left for the island of Bermuda, a potentially disastrous economic and environmental catastrophe may have been averted. The residents of many islands around the world, Bermuda included, are urged by the government to be on the lookout for invasive species. Once the scorpion was spotted among cargo destined for Bermuda, the man who found the arachnid immediately called government employed environmental officers who cleared the rest of the cargo. In response to the important find, Mark Outerbridge, a wildlife ecologist at the government’s environment and natural resources department, publicly thanked the staff members who spotted the scorpion, as they may have saved Bermuda from an environmental disaster. The species of scorpion spotted within the cargo was the dangerous striped bark scorpion that is native to North America. Have you ever spotted a striped bark scorpion in the wild? Where In The World Are Scorpions Most Dangerous? Public health threats vary from country to country, and this is true for vector-borne health threats as well. For example, mosquitoes are one of the leading causes of death in Africa and wasps are major killers in Asian countries. Here in America, ticks are the arthropods to fear, as thirty thousand people per year fall ill as a result of contracting lyme disease. While many people may assume that disease-spreading arachnids, like ticks, are a rarity, scorpions are considered a major public health threat in tropical and subtropical regions all over the world, including the United States. This is not surprising, as scorpions have a wide distribution across the globe. The rate of medical incidents involving scorpions differs from country to country and depends on numerous factors such as socioeconomic status, residential status, availability of health services, and the geographical distribution of species. Scorpions pose the greatest threat to public health in African, Middle Eastern, and Central American countries. Scorpions are by no means rare in the US, and the arachnids cause the greatest amount of medical incidents and deaths in Mexico, which is alarmingly close to America. Every year, 300,000 scorpion stings are reported in Mexico, and many of these cases turn out to be fatalities. Back in 1995, 7000 scorpion stings were recorded in Brazil, and despite having anti-venom in abundance, 1 percent of these stings resulted in death. Both Morocco and Tunisia report 40,000 scorpion related medical incidents each year. India is currently home to a staggering 86 percent of all scorpion species known to exist. Scorpion stings in children result in death 3-22 percent of the time. When taking the entire world into account, 1.2 million scorpion stings are reported annually, and of these cases, 3,250 deaths result. This means that for every person killed by a snake bite, ten are killed by a scorpion sting. If you sustained a scorpion bite would you visit the hospital even if you did not immediately develop symptoms? Why Is Scorpion Venom The Most Valuable Liquid Substance On Earth? Many people have heard the rumor stating that scorpion venom is the most valuable liquid in the world, but is this really true? And if it is, then what makes scorpion venom so special? While it is true that scorpion venom is highly valuable, it should be kept in mind that there are over 2,000 scorpion species in the world, and not all of them produce venom that is sought after. Of the many forms of scorpion venom that are valuable, the prices vary in accordance with the species. That being said, possessing a gallon of any type of valued venom can net you millions of dollars. At the moment, the venom produced by the dreaded deathstalker species is the most valuable. One gallon of deathstalker venom is worth 39 million dollars. The dangerousness of this particular scorpion species is the main reason for the high price of its venom. Before you decide to go into the scorpion venom business, you should know that a full gallon of scorpion venom would take a very long time to procure. Milking scorpions for their venom is a difficult undertaking, as milking is still done almost exclusively by hand. One scorpion produces only two milligrams of venom at a time. Also, scorpion venom is not purchased in large amounts, as 130 dollars buys a single droplet of venom that is smaller than a grain of sugar. To put this in perspective, if you own one pet deathstalker scorpion, you would have to milk it 2.64 million times before obtaining a full gallon. Even if you had all the time and patience in the world, simply sustaining one sting from a deathstalker scorpion would likely discourage you from ever coming near one again, as their stings are reported as being one hundred times more painful than a bee sting. 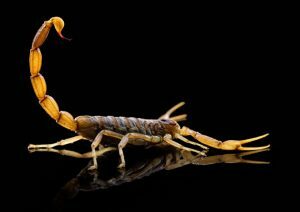 Deathstalker scorpion venom is also deadly enough to kill a human, and fatalities are not at all rare in many Arab and African countries. Scorpion venom is fetching top dollar due to its medically valuable chemical components. For example, chlorotoxin binds to cancer cells located in the brain and spinal cord, which allows medical professionals to determine the exact size and location of cancerous tumors. Another component in scorpion venom known as Kaliotoxin is successfully being used to fight bone disease in rats, and researchers are hopeful about its successful application in humans. As a result of this medically promising research, many entrepreneurs are attempting to take part in the emerging economy of scorpion venom. Not long ago, a tech company developed the first milking machine that can extract scorpion venom with tremendous efficiency and none of the human labor. After reading this blog article, do you feel inclined to enter the lucrative world of scorpion venom sales? For thousands of years, humankind has been exploring the use of plants and herbs as forms of medicine. Many of today’s pharmaceuticals are extracted from plants or are modeled after compounds found in plants. Since plants have been around for hundreds of millions of years, it is not surprising to learn that many plant species contain compounds that are similar to the compounds found in many animals and humans. However, arthropods, such as insects, arachnids and crustaceans, are nearly as old as plants, which indicates that arthropods may also contain compounds that could serve a medicinal purpose. Although you would think that scientists have been busy analyzing different insect species in order to determine their usefulness in the field of medicine, you would be wrong. In fact, medical researchers have only recently started to explore the composition of spider and insect venoms as well as their internal bodily compounds. So far, it is going well, as one scientist has recently found that the venom produced by a particular scorpion species is composed of molecules that are structurally similar to opiates and cocaine. For 40 years, the researcher Lourival Possani Postay has been studying scorpions from every corner of the earth. Most of this time was spent in search of a scorpion venom that has medicinal value. Finally, Postay found it in a species known as Megacormus gertschi, or the Hidalgo scorpion, as it is commonly known. As it turns out, the venom of a Hidalgo scorpion contains an alkaloid that is similar to alkaloids that are produced by plants, and the drug known as morphine as well as other illicit substances. As useful as this discovery will prove to be, researchers are still unsure as to why this scorpion species produces a narcotic-like alkaloid. This alkaloid may be useful for subduing prey, but this theory needs more evidence before it can be entertained by other medical professionals. The venom also contains compounds called vanillin and histamine, which are contained within allergy medications. Back in 1996, Postay won a nobel prize for his medical research into scorpion venom. Have you ever heard about victims of scorpion stings report odd neurological effects? Everyone needs a vacation every once in a while, and what better place to visit than sunny Costa Rica? Tropical regions are popular tourist destinations despite the uncomfortably high humidity levels, terrifying wildlife and the many biting bugs. Unless you have been living under a rock for the past three years, South and Central America, as well as the Caribbean, have recently seen outbreaks of multiple types of mosquito-borne diseases. During the years of 2015 and 2016 most victims of mosquito-borne disease in these regions had contracted the Zika virus, although yellow fever and a few other diseases were by no means uncommon. However mosquitoes are not the only arthropods to fear when visiting a tropical paradise. Some of the most venomous arachnids in the world inhabit regions of South and Central America, and Costa Rica is certainly home to many of these dangerous arachnids. However, as long as tourists are careful, dangerous arachnid encounters are not likely to occur, and at least you know you will be safe from dangerous bugs once you return home. Well, probably safe anyway, as one woman recently sustained a bite from a scorpion that had hitched a ride in her suitcase. The scorpion had traveled with the female tourist from its native home in Costa Rica all the way to southern England. The female scorpion victim, who has not yet been named by media outlets, was rushed to the hospital after she had sustained the sting. Scorpions do not exist within the United Kingdom, which is why the paramedics who arrived at her home were initially incredulous about the woman’s claims during the emergency call. However, doctors later confirmed that the woman had sustained a scorpion sting, but she was released from the hospital, as the particular species of scorpion that bit her is not dangerous to humans. There exists twenty five different scorpion species in the world that possess venom capable of killing a human. Luckily for the female traveler, none of Costa Rica’s fourteen scorpion species possess venom that is deadly to humans. Have you or someone you know ever found a non-native insect within a suitcase upon returning home from an exotic location?